One of the best housings scheme but “Tinted”..!!! "On May 4, the Supreme Court barred the owner of Bahria Town Karachi from selling any plot or build-up unit from the housing sch­eme it launched in the city." 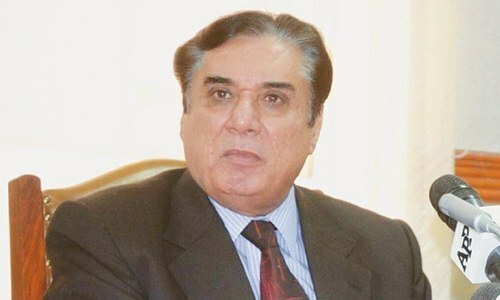 Took NAB better part of three weeks just to 'begin' probing. 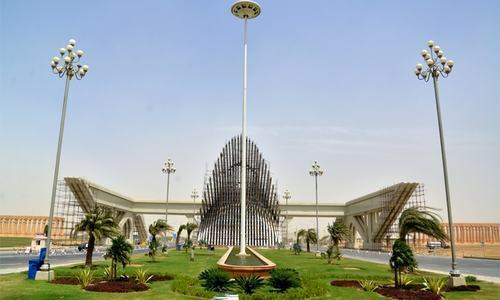 Malik Riaz, the original trickster who exploited the 'Bahria' name to gain public trust and sell his projects, may just be untouchable for the likes of NAB and Pakistan's courts. Great to see NAB taking notice. The alliance of PPP, Bahria Town and PSP (Haqiqi2) are after the resources of Urban Sindh. In addition the alliance of these three with more powerful sources has given them a free hand in Urban Sindh to do whatever they want. Beware. He can buy any one. Unlimited money available with him has bought him all those who thought differently. If justice is to be done, then you have to ensure that those investigating against him and his family and firms, are honest and cannot be purchased for any price. Is he the right person for this job? Hats off to the wonderful Supreme Court of the Islamic Republic of Pakistan since to nip the Bahria Town evil in the bud, this step was mandatory in the name of fair-play and true justice. Don't the courts and investigation agencies have full support of the saner elements of the public? It is quite clear how the projects were initiated. They purchased extremely cheap piece of land in far flung areas. Got exchanged with prime lands from the corrupt political leadership in connivance with the corrupt bureaucracy and then initiated the project. The huge illegal profits were shared with all including the media. BTK investor totally agree SC should make it clear whether the investor's should keep paying instalments, if not then it should be announced immediately.